2016 23(3) Hey There, Dumpling! 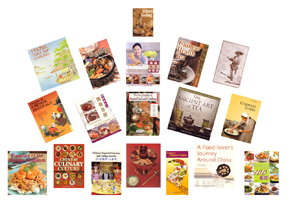 2015 22(2) History of Tea, The by Mary Lou Heiss and Robert J. 2008 15(3) Wok & Co.
2013 20(2) Ying's Best One-dish Meals.